Senior adviser to the President Jared Kushner used private email and a messaging app to conduct official business, the House oversight committee says. Kushner's lawyer has pushed back on some of the committee's assertions. Jared Kushner's attorney told the House Committee on Oversight and Reform that Kushner uses private messaging applications and personal email to communicate about official White House matters, the committee wrote in a letter to White House Counsel Pat Cipollone on Thursday. The oversight panel said that Kushner, the president's son-in-law and a senior White House adviser, had been using WhatsApp as part of his official duties — an apparent violation of a law governing White House records. The committee said that it learned about the use of private email and WhatsApp from a December 2018 conversation from Kushner's lawyer, Abbe Lowell, who also represents the president's daughter, Ivanka Trump. Meanwhile, the committee said that Trump had been receiving official emails on her personal account and has not been forwarding them to her official White House account as required by law. Her lawyer confirmed this as well, according to the committee. Lowell contended in a letter to Cummings Thursday afternoon that some of the information the committee states is incorrect, including that Lowell confirmed Kushner used a messaging app to communicate "with foreign 'leaders' or 'officials.' " He said he told the committee that Kushner follows White House protocols and referred questions to the White House counsel. Lowell also said his discussion with the committee about Trump's emails was specifically about the period before September 2017. He told the committee at their meeting "now she always forwards official business to her White House account." Aside from the Kushners, the House committee said other officials such as the former deputy national security adviser K.T. McFarland and former White House chief strategist Steve Bannon used their personal email accounts to discuss the "transfer of sensitive U.S. nuclear technology to Saudi Arabia." The panel produced a report last month alleging that the Trump administration sought to rush the transfer of American nuclear technology to Saudi Arabia in potential violation of the law. The House oversight committee first launched its investigation into use of personal email "in violation of the Presidential Records Act and White House policy" back in 2017, Chairman Elijah Cummings, D-Md., wrote in Thursday's letter. But Cummings said that the White House has failed to produce many documents that he and his panel have demanded. Cummings said that the White House had not followed through with a briefing on this matter that it had promised him and had not produced "a single piece of paper to the Committee ... in this or any other investigation" since Democrats took over the majority in the House. In his letter to Cipollone, Cummings demanded that the White House produce documents related to its investigation into this matter by April 4. "The White House has received Chairman Cummings' letter of March 21st. As with all properly authorized oversight requests, the White House will review the letter and will provide a reasonable response in due course," Steven Groves, White House spokesman who handles oversight issues, said in a written statement to NPR. Hillary Clinton was criticized by Republicans throughout the 2016 presidential campaign for using a private email server to conduct official business during part of her tenure as secretary of state in the Obama administration. The requirement for her to preserve her communications was outlined in a law that is similar to the one governing the preservation of White House records. This should sound familiar - controversy over government officials using personal email accounts and messaging apps to conduct official business. This time, though, the officials in question are President Trump's son-in-law Jared Kushner and the president's daughter, Ivanka Trump, among others. The head of the House Oversight Committee says the lawyer for both Kushner and Ivanka Trump told the committee that the two of them have used personal communication tools for work. NPR's Tim Mak joins us now. Hey, Tim. TIM MAK, BYLINE: Hey there. CHANG: So we should note that this information is coming from a Democrat, the committee chairman, Elijah Cummings. Walk us through exactly what Cummings is saying here. MAK: OK. So the House Oversight Committee had a meeting with Kushner's lawyer, Abbe Lowell, in December and says that during this meeting, the attorney confirmed that Kushner has used and continues to use WhatsApp as part of his official duties in the White House. That's the communications app. 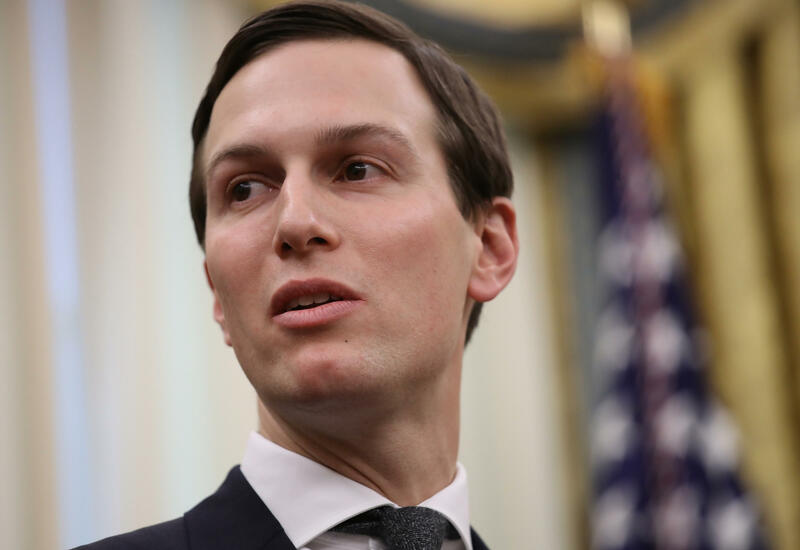 When asked if Kushner communicated with foreign leaders using WhatsApp, Lowell simply said that Kushner, quote, "had communications with people outside the United States." And when asked if classified information was ever discussed using the app, Kushner's lawyer simply said, quote, "that's above my pay grade." CHANG: Not exactly answering the question. MAK: The law requires that senior officials like Jared Kushner preserve their official communications. His lawyer said that he is in compliance with the law and does so by taking screenshots of his WhatsApp conversations and sending them to his White House email or to the National Security Council. But Lowell contends he has never confirmed any conversation between Kushner and foreign leaders. CHANG: OK. So that's the Kushner story. What about others in the White House like Ivanka Trump? MAK: Well, so according to Cummings, Lowell also told the House Oversight Committee that Ivanka Trump gets work emails on her private account and that she doesn't forward those emails to her official account unless she responds to it. Her attorney now says that he was referring to earlier emails to her personal account and stressed that she now follows proper record-keeping rules. The committee also claims in another situation to have evidence showing that K.T. McFarland, the former deputy national security adviser, used a personal aol.com email address to talk about the transfer of sensitive U.S. nuclear technology to Saudi Arabia. McFarland was apparently talking to a personal friend of President Trump's while working on that issue. And Steve Bannon - he's the former White House chief strategist - he also received an email about the Saudi nuclear plan through his personal email account. CHANG: OK. All these allegations here sound a lot like the criticism Republicans leveled against Hillary Clinton for using a private email server when she was secretary of state. How fair is it to compare the situation with Clinton to this - these situations here? MAK: It's not the same law that governs both of these situations, but it's the same principle that senior officials in the administration need to conduct business on their professional work emails. And they shouldn't be doing professional work through private channels. This is generally done to ensure that official communications and records are properly stored and archived. It sounds like both Clinton, through her use of a private email server, and now senior White House officials have run afoul of these rules. CHANG: So what is the White House saying about all of this? MAK: The White House hasn't said a ton about this. They did say that they've received the letters. They're reviewing the letters. And they will be providing some response at some point. But Kushner's lawyer says that his words were twisted. As I said earlier, Lowell said that he never specifically said that Kushner spoke to any foreign leaders using WhatsApp. And he also says that Kushner and Ivanka are both currently in compliance with relevant rules. CHANG: OK. That's NPR's Tim Mak. Thanks, Tim. MAK: Thanks a lot. Transcript provided by NPR, Copyright NPR.